From its origins in the parties and parks of the Bronx, New York in the late 1970s, hip-hop has grown to be a significant global musical style. Whilst it’s the Americans who dominate the genre in terms of international sales, you can find hip-hop made locally in virtually every country around the world. The music has found a huge audience of all colours, and raised a lot of controversy, especially for the violent and misogynistic gangsta rap style. It’s created stars like Snoop Doggy Dogg and Eminem who have become household music names. But in the memorabilia market it’s yet to gain any traction. That’s not to say people don’t take it seriously. In the U.S. several institutions have staged exhibits of memorabilia artefacts, including the Experience Music Project, the Rock and Roll Hall of Fame, and even the very prestigious Smithsonian. The impact of hip-hop on culture and music is readily acknowledged. A better question might be: what can you find? A search around the Internet will reveal there’s very little on offer. A set of Eminem nesting dolls (£12.50) might catch your eye, but that’s kitsch, not real memorabilia. There are autographs you can buy, but make sure they’re not the pre-printed kind. If you’re going to spend money, buy from someone offering a certificate of authenticity to be sure you’re getting the real thing. Concert tickets come up on eBay, but, in many ways, hip-hop memorabilia is where rock was 30 years ago, still finding its way and growing, albeit very rapidly. For serious memorabilia collectors it’s yet to prove itself. In spite of the stars the genre has created, it simply doesn’t yet have the depth and longevity. Additionally, the idea of “two turntables and a microphone” stands far to the left of the traditional music values memorabilia collectors understand – they’re still eyeing it very warily. There’s little demand for clothing, since much of it is off the rack American sports gear, the uniform of choice for rappers. 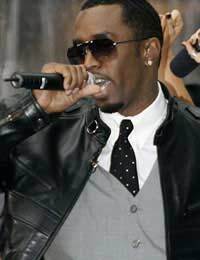 Many have launched their own clothing lines, such as Jay-Z, Outkast and P. Diddy. What might attract buyers would be some of the bling: jewellery of rappers, or their heavily customised vehicles. To this point, however, you’re not going to find items like that. Any prediction of what the memorabilia market will be like in 10 or 20 years is, at best, an educated guess. However, there are some definite trends. Hip-hop will have fully come of age, and artefacts will become very collectable. Dealers will handle them (which is very rare to find currently), and some will undoubtedly have graduated to the major auction market – especially items such as handwritten lyrics and things more personally connected to the big stars. This is when investors will begin to see a return. At the moment, though, the question is more, when should you buy? You can only buy when good items appear, so, if you’re willing to take a chance on something long term, buy when desirable material first appears and the prices are still low.